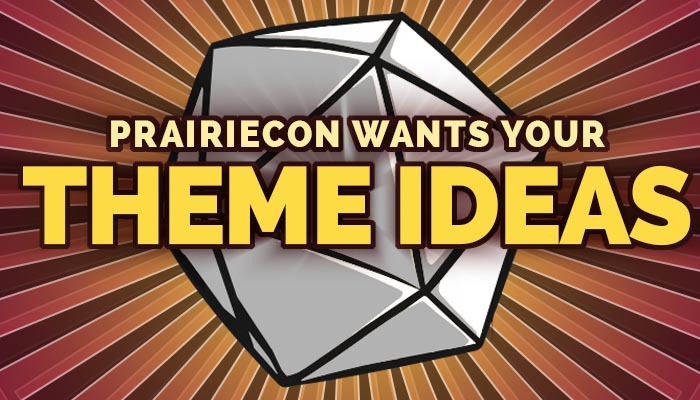 PrairieCon is looking theme ideas for next year! Our artwork is drawn to match and we used to even have a story contest (maybe it’ll come back some day soon). Now we need a new theme for next year’s convention. We’ve had Year of the Hero, Year of the Villain, Year of the Dragon, Shadows Over PrairieCon, and, well, you get the point. But, now we want your ideas! Send us an email with your ideas here. Include your idea, a brief description of your idea, your name and your email address.